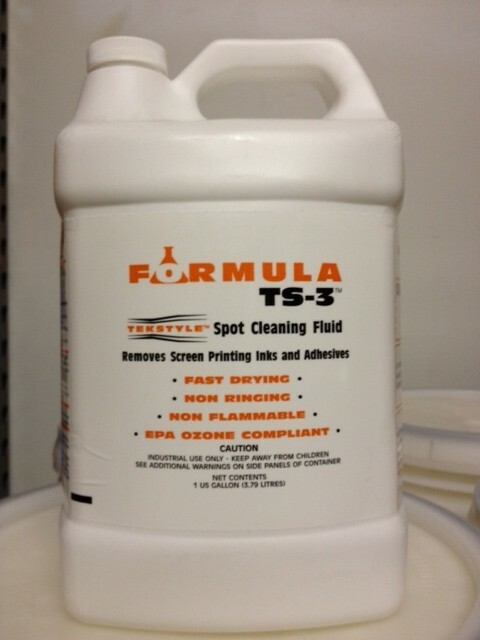 Formula TS-3 Spot Cleaning Fluid - RC Screen Shop & Supply Co.
SKU: TEK-TS3. Category: Spot Removal. Tags: spot cleaner, TS3. TekMar TS-3 is a non-flammable, cutting edge cleaning fluid which will remove cured plastisol, water based and other inks for garments without leaving rings. TS-3 is the industry standard by which others are judged. TS-3 contains a revolutionary additive that allows the soil to be encapsulated for more complete and efficient cleaning. TS-3 can also be used to clean grease and oil from fabrics.